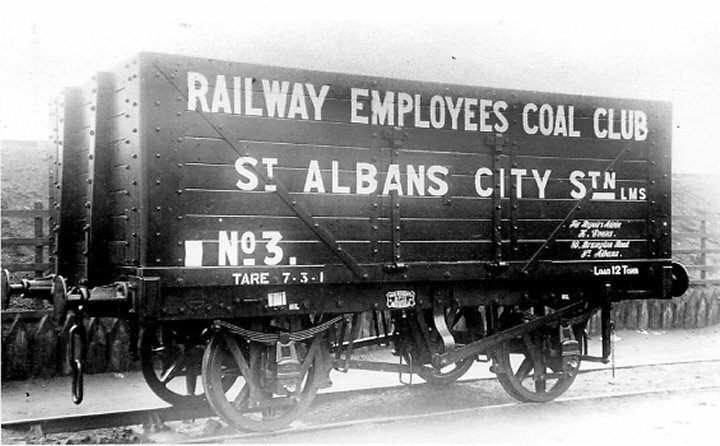 Reproduction of an original LMS wagon used by the 'Railway Employees Coal Club' St Albans. The original wagon was made in 1928 by Chas. Roberts & Co. for the club run by Mr. H. Evans of 80 Brampton Road, St Albans. Our wagon is an authentic 1:76 scale model ('00' gauge) manufactured for us by the renowned Dapol Company. These wagons are only available from the Trust and NOT in any shops. All profits go towards maintenance of the signal box. £3.50 for 1, 2 or 3 wagons. please remember to state which wagon(s) you require.